On the same night that I imaged Messier 44 I decided to hop over to another nearby open cluster: Messier 67. 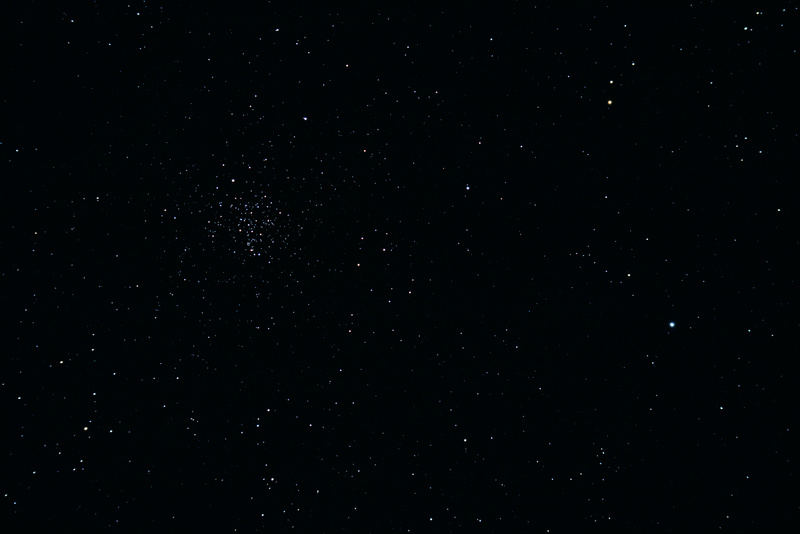 While M44 appears three times larger, both of these open clusters are estimated to be of roughly the same size, but M67 happens to be 5 to 6 times farther away. Click on the image to get the full image, it’s scaled and cropped below.